How people get around depends on where they live. You might be used to travelling by car, bike or train but in Norway Falda hitches a ride on her sister's snowmobile and in Thailand, Niran gets home on a tuk-tuk. Why do you think people use different modes of transport? Which would you most like to try? 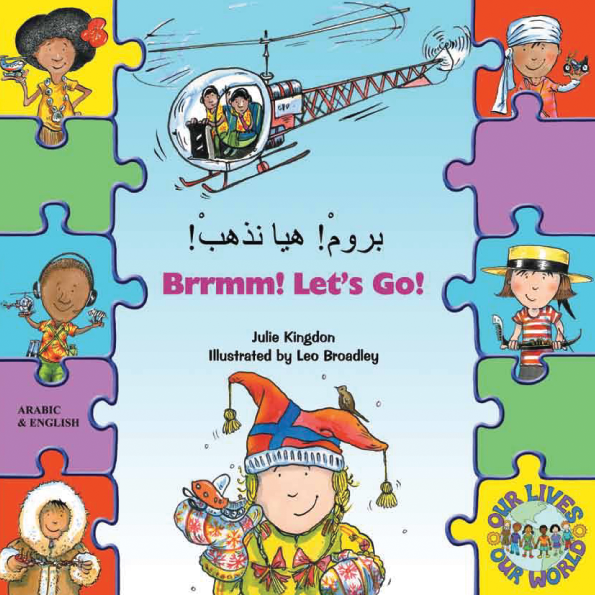 Mantra Lingua's Our Lives, Our World series of dual language books helps young readers to widen their horizons and to develop a tolerant worldwide perspective by introducing them to diverse cultures, traditions and lifestyles. Simple, repetitive sentence structures and basic vocabulary make these titles useful for building verbal communication skills. An essential cross-curricular resource for teaching EAL, Citizenship and PSHE, each title in this series includes a key words and activities section for use in the classroom.